The UAE attracts huge foreign direct investments (FDIs) quite out of proportion to its size with its free trade zones being the main magnets of the inflow and the one at Ras Al Khaimah serving as a significant area of interest for investors from overseas. Last year FDIs surged 25 per cent to $13 billion compared with the previous year, thanks mainly to the UAE’s intense diversification drive and the growing role of free trade zones in driving industrialisation and trade. 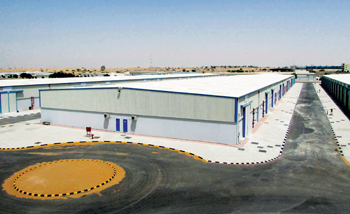 The Ras Al Khaimah Free Trade Zone (RAK FTZ) was said to be one of the major recipients of the inflows in 2014. “The main influences that stimulate inward investment to the UAE are 100 per cent foreign ownership and freedom from taxation. At RAK FTZ we offer both of these elements and more,” said Ramy Jallad, acting CEO of the free zone. “We make sure we do not just attract clients, we nurture them so they can reach their full potential. RAK FTZ is proactive in providing customisable business solutions that serve as springboards that launch them to success,” he pointed out. Since the free zone’s establishment 15 years ago, RAK FTZ has been committed to providing ease to investors. For assistance from Emirates ID and medical applications to document attestation and even recruitment, RAK FTZ has a specialised team to support businessmen and lessen the hassle of bureaucratic requirements. “Setting up a company in RAK FTZ is quick and easy. It only takes four easy steps and best of all, we have highly qualified client relations professionals that work closely with investors to furnish them with everything they need. 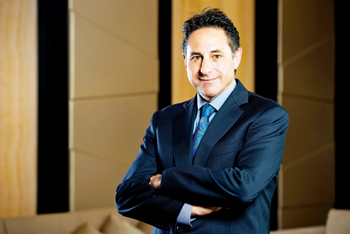 Our fast-track licencing and registration, as well as the value-added services help clients spend more time on what matters most, and that is making their businesses grow,” highlighted Jallad, who recently took over as acting CEO of Ras Al Khaimah Investment Authority (Rakia) following the resignation of the chief executive Rino Sabatino. 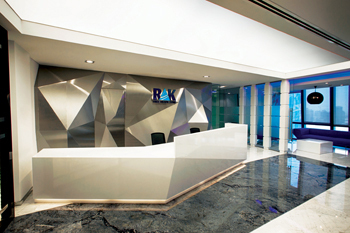 Jallad continues to serve as the acting CEO of RAK FTZ. The unstoppable growth of RAK FTZ is evident in its fast-growing client portfolio. In 2011, it only had more than 4,000 clients and within a span of two years, that number rocketed to more than 8,000. The tenants hail from over 100 nations and serve across 50 different sectors. While fielding a plethora of enquiries from interested parties, RAK FTZ believes it should meet face to face with them which it does through visits by its official delegations to different corners of the globe. Aiming to draw businesses to its hub, RAK FTZ has already completed several tours this year and has plans to visit the UK. Jordan, Japan, Germany and France before the year is out. As for infrastructure developments, RAK FTZ has been big on launching newly completed projects. Earlier this year, it opened a district cooling plant to provide an eco-friendly way to control air-conditioning in its buildings. Following that, it inaugurated 100 new warehouses in its Technology Park. Sealing the first half of 2015 with another major infrastructure development, RAK FTZ opened the new Boulevard Business Centre in Downtown Dubai. It features a combination of classic and modern Arabian design and offers a full-range of services including new sales, registration, licensing and leasing, company support and government services. Furthermore, RAK FTZ is committed to moving forward with its strategic plans. Two of its major projects are developing its Academic Zone and the back-office services sector, which includes IT, consultancies, call centres and outsourcing. Jallad brings a wealth of experience operating free zone authorities across the UAE. He has also held leadership roles in government and private enterprises both locally and internation-ally in a career spanning over two decades.